Sign up for FREE text or email alerts and never miss a Dreams Network live broadcast! 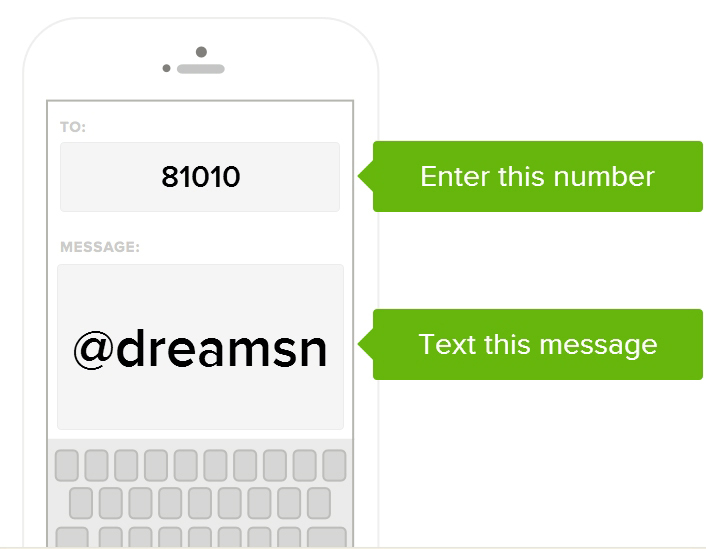 To receive alerts via text, text @dreamsn to 81010. You can opt-out of messages at anytime by replying, unsubscribe @dreamsn.